1 What is Crigler–Najjar syndrome? Crigler Najjar Syndrome or CNS is a rare type of disorder that affects bilirubin metabolism. Bilirubin is a chemical that is produced as a byproduct of heme catabolism. Crigler Najjar Syndrome gives rise to a form of inherited non-hemolytic jaundice resulting in the production of large quantities of un-conjugated bilirubin. The syndrome frequently causes cerebral damage in infants. Crigler Najjar Syndrome has two types, type I and type II. The Crigler Najjar Syndrome, type II is sometimes referred to as Arias syndrome. This rare disease is an autosomal recessive disorder and it affects around 6 to 10 people in per 10 million of live births. The conditions of this disorder are further intensified by consanguinity. Patients suffering from Crigler Najjar syndrome, type I are found to have serum bilirubin levels normally above 345 µmol/L (310 to 755). The hepatic tissue does not show any signs of UGT1A1 expression. As a result, the patients show no response to Phenobarbital treatment. Most of the patients tend to have mutations in one of the common exons and face considerable difficulties while conjugating additional substrates like xenobiotics and other drugs. Some patients have mutations on the bilirubin-oriented A1 exon. In these cases, the conjugation difficulties are mostly limited to bilirubin. Before the advent of phototherapy, children suffering from Crigler Najjar syndrome, type I mostly died of bilirubin encephalopathy or kernicterus; only some of them survived till the early years of adulthood. However, the surviving children clearly showed signs of neurological impairment. • Bilirubin levels are normally less than 345 µmol/L (100 to 430; thus, signs of considerable overlap are present). In some cases, the lower levels of bilirubin are detected only later in life. • Occurrence of kernicterus is infrequent in Crigler Najjar syndrome, type II due to the lower levels of serum bilirubin. • Unlike the pale coloration of bile as seen in type I, type II is characterized by pigmented or dark bile. Monoconjugates found in type II form the largest portion of bile conjugates. • Signs of UGT1A1 expression are present in the hepatic tissue at a much reduced but detectable levels. This is due to single base pair mutations. • Treatment with phenobarbital shows considerable signs of effectiveness and decreases the serum bilirubin levels by at least 25%. This is one of the major aspects of differentiation between type I and type II. • There has been a lot of difficulty to determine the inheritance model of Crigler–Najjar syndrome type II. However it is normally considered to be an autosomal recessive disorder. The most common symptoms of this disorder are the development of neonatal jaundice and signs of icterus. The skin and the white portions of the eyes become yellow. The signs of jaundice start to show a couple of days after birth in Type I which continues to worsen over time. Type II patients may not show signs of jaundice until late infancy or early childhood. 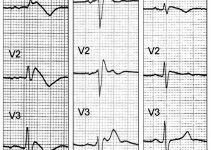 In some older patients, Crigler–Najjar syndrome can lead to confusion and sudden changes of thought patterns. Crigler Najjar syndrome type 1 should be properly identified and dealt with at birth. If not, excessive presence of bilirubin may even cause brain damage, which is known as kernicterus or bilirubin encephalopathy. Symptoms of kernicterus include hypotonia or low muscle tone, lethargy and deafness. Severe cases may also lead to permanent brain damage or death. 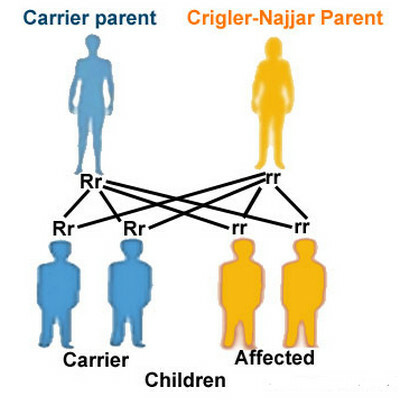 Crigler Najjar syndrome is an autosomal recessive disorder. Every individual genetically produces the enzyme called glucuronyl transferase. This liver is essential for the removal of bilirubin from blood. A range of probable genetic defects can diminish or halt the production of the enzyme glucuronyl transferase. When both genes producing this enzyme get defected, removal of bilirubin gets either partially or completely stopped. This increases the bilirubin levels in the blood to an alarming rate thus resulting in the development of Crigler Najjar syndrome. Crigler Najjar syndrome type I is the early form of the disorder while type II is a later form. You should seek medical counsel if you are considering pregnancy and your family has a history of Crigler Najjar syndrome. Alternately, you can consult your doctor if you find your newborn child is having a persistent case of jaundice. Crigler Najjar syndrome is characterized by large quantities of bilirubin in the blood serum. Diagnosis involves various tests of liver functioning. Infants having Crigler Najjar syndrome, Type 1 have jaundice with their bilirubin levels between 17 and 50 mg/dL. Infants with Type 2 are also jaundiced with bilirubin levels ranging between 6 and 22 mg/dL. However in Type 2 cases, the occurence of jaundice may be seen at a somewhat later stage. Neonatal jaundice may occur along with the presence of severe disorders like sepsis, hypoglycemia, hypoxia, hypertrophic pyloric stenosis, hypothyroidism, fructosemia, galactosemia and many others. In Crigler–Najjar syndrome, tests for checking liver functioning and hepatic histology are routinely conducted. There is no comprehensive evidence for hemolytic disorders. Symptoms which are triggered by the use of drugs normally regress after the medication is discontinued. Physiological neonatal jaundice can rise between 85-170 µmol/L. The high levels usually decline within two weeks and reach normal adult concentrations. Couples looking forward to have children should go for genetic counseling and get blood tests done if either of the parents have a history of Crigler Najjar syndrome in their family. Treatment of bilirubin encephalopathy is normally done with plasma exchange transfusion. This process involves removal of bilirubin-saturated albumin and introduction of free protein that removes bilirubin from the affected tissues. Plasma exchange should also be accompanied by long term light treatment or phototherapy. This converts bilirubin to easily soluble isoforms which can then be excreted through urine. Phototherapy in infants is done by using bilirubin lights or ‘blue’ lights. Phototherapy should be conducted for at least 12 hours per day; the process should be continued regularly throughout adult life. This procedure becomes less effective after age 4 as the skin of the growing child thickens, thus blocking the light. Phototherapy should be followed by oral doses of calcium phosphate as they help to remove bilirubin content from the gut. Liver transplantation can be used to treat some infants having Crigler Najjar syndrome type 1. 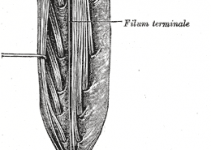 Although largely experimental at present, therapies like cell and gene transfer may greatly enhance the treatments of Crigler-Najjar syndrome in future. Heme oxygenase inhibitors such as tin-mesoporphyrin or tin protoporphyrin can prove to be useful in reducing bilirubin on a short term. Milder forms of Crigler Najjar syndrome type 2 normally do not produce effects such as liver damage, severe toxicity or change of thought patterns during childhood. Patients still suffer from jaundice but show less symptoms and the risks of organ damage are much less. Patients having severe cases of Crigler Najjar syndrome type 1 may suffer from jaundice even as adults and require regular treatment. Type 1 syndrome when left untreated may lead to brain damage and death. Even when the adult patients are treated regularly, they will suffer from brain damage caused by jaundice. The average life expectancy for patients having type 1 syndrome is around 30 years. Crigler-Najjar syndrome is an autosomal recessive disorder that requires immediate medical attention upon detection. 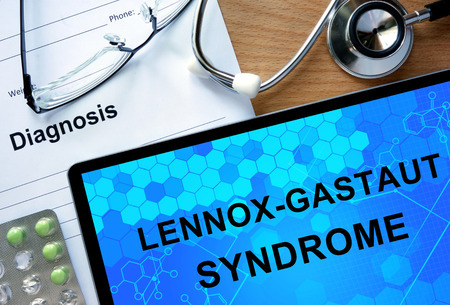 With treatment, this syndrome can sometimes be kept under control and the patient may lead a comparatively healthy life.